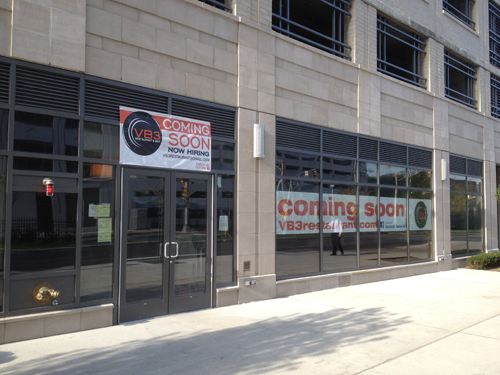 VB3, a “sleek, modern” pizza bar is coming to Sixth Street in the base of the Monaco Towers. The retail space is along Sixth Street between the light rail tracks and Washington Blvd. The interior has been under construction for several months with tables, chairs and stools having been recently installed. The inside does look sleek and modern as promised.